After receiving her veterinarian doctorate in 2001, it didn’t take long for Dr. Debbie Reynolds identified a unique need in the local veterinarian health field: mobile veterinary health care. After seeing many pets and getting countless questions from pet owners about the best medicines and supplements for our furry friends, Dr. Reynolds identified a new need: a local pet store with holistic option for the local petowner. In 2017, Dr. Reynolds opened The Blessed Pet Shop in historic downtown Martin - a pet boutique that takes a holistic and natural approach to medicines, foods, and treats for every special pet. The Blessed Pet Shop offers a holistic line of foods and treats from The Honest Kitchen, Primal, and Taste of the Wild. They have gourmet treats and fresh, frozen raw bones, as well as natural chewing treats such as fish skin and antlers. You’ll find toys, collars, leashes, harnesses, and clothing for your pet, plus all natural pet supplements. Stop by and visit their online store by navigating to https://theblessedpetshop.com/. Hours: 10:30 a.m. until 9:00 p.m., Monday through Thursday and Sunday. "Welcome to Sammies!" Sammies is the soon-to-be world-famous sandwich shop where the friendly staff still greets you when you walk through the door. Despite being barely 2 years old, Sammies has created a sensation unmatched by anything the local community has ever seen. Fresh ingredients backed by fast and friendly service have kept this family-owned eatery in the local limelight, and more importantly have kept Sammies packed day after day with smiling, satisfied customers. While gimmick restaurants come and go, Sammies proudly boasts that "our gimmick is great-tasting food"; and the minute you taste your first delicious Sammie, you understand how well they have lived up to their ideals. Fresh veggies, meats sliced in-house daily, and perfectly oven-toasted bread combine to form a wide range of flavor-packed meals, from new takes on classic favorites like the Sammies Italian to hand-crafted original recipes like the Santa Cruz. With all the other great-tasting food, it's easy to forget that Sammies isn't all about subs, salads, pitas, and wraps. Loaded baked potatoes, delicious home-made soups, and salads piled high with fresh veggies are also on the menu. In addition, each month you can sample one of the unique Sammies of the Month, which in the past has included favorites like the Poppyseed Chicken, the Oktoberfeast (bratwurst, kraut, and dijon on a pretzel bun), and the Elvis sandwich (peanut butter, honey, banana, and bacon). Plain and simply: You’ve got to try Sammies! Hours: 11:00 a.m. until 9:00 p.m., Monday through Thursday and Sunday. Opening in fall of 2017, The Grind Mac & Cheese Burger Bar attracts roves of hungry customers at any hour of the day in search of something different and uniquely delicious. Boasting incredible menu items featuring modern twists on old classics, diners get an experience like none other at The Grind. Choose from multiple mac and cheese entrees such as local favorite Lobster Mac and Cheese, the Nashville Hot Chicken Sandwhich, Molasses 8 Coffee Porkchop, Fried Mac and Cheese Balls, and the Luther Burger that features glazed doughnuts in place of a bun; you’ll definitely be trying a new version of an old classic. Almost too beautiful to eat, their killer shakes are works of art, loaded with incredible extras and that elevates this dessert to so much more than just a milkshake. Not just a restaurant, experience The Grind Mac & Cheese Burger Bar as soon as you can – you’re missing out! At Claire & Schuster, they love creativity and design, but are more than a full scale design center. They cover all your personal accessory and gift giving needs too! Claire & Schuster’s strives to provide you the most unique choices in broad price ranges. 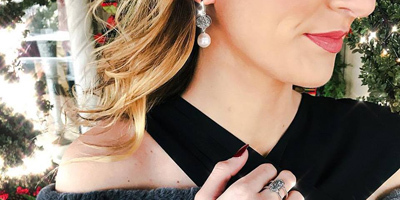 Whether you need a gift for yourself from our apparel and jewelry selection, a wedding gift for a couple on our registry, or a birthday or thank you gift for a special friend, they have you covered! You will also find great choices of accessories for your home that will help set you apart from the rest! Claire and Schuster Interiors on Main Street in historic downtown Martin is committed to staying current to industry trends and products, offering professional service, while contracting and helping you attain the highest quality possible in all areas of design. Their goal is that the finished product be everything you asked for, yet more than you could have dreamed. Try Martin’s newest ice cream shoppe! 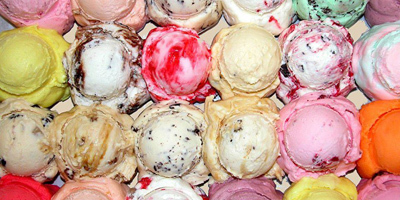 With delicious hand dipped ice cream, in your choice of 24 Flavors – or try them all! Fresh homemade vanilla and chocolate waffle cones are made fresh daily. Or choose between sugar cones, regular cake cones, drinks and more. Are you looking for that special gift? Searching for that unique accent piece that will make your home design shine? 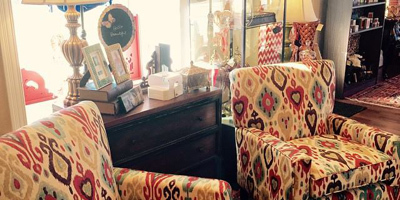 You just have to go to Kirkland’s Antiques, Gifts and Interiors in in historic downtown Martin. 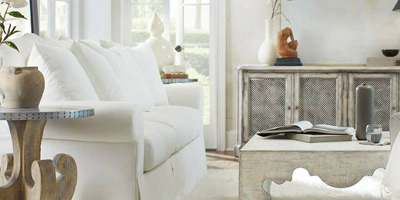 Before you settle on the ordinary, check out the extraordinary in everything from furniture, home décor, china, accent pieces, table sets, fine jewelry, flatware, drapery, and even custom personalized interior design assistance. Kirkland’s can help you transform your entire home into a warm and inviting space to suit your taste. Elevate the ordinary! Visit Kirkland’s Antiques, Gifts and Interiors today. Committed to giving you a salon and spa experience like no other, at Styles on Broadway SalonSpa the details make the difference. With an incomparable upscale salon experience, the talent of the entire team is always available to you. 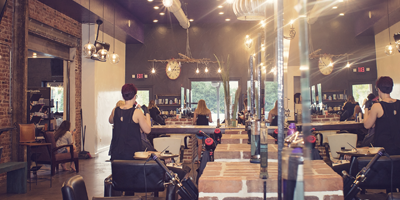 Not just a cut and color salon, Styles on Broadway offers additional amazing services, such as Texture Wave, Straightening, Highlights/Lowlights, Botanical Treatment, Airbrush Makeup, Vomor Hair Extensions, nail treatments, and more. Spa treatments include a variety of facial treatments, hair removal services, hot stone massage, headache relief, aloe body wrap, salt glow body scrubs, European Rose Clay, detoxify, refreshing mud treatment body mask, and more. Your nails will be in top shape when you visit one of the skilled nail technicians for a manicure, pedicure, and polish – so many nail services available! Styles on Broadway exclusively carries Aveda Products, Bumble and bumble Products, and BOS makeup line. The talented stylists at Styles on Broadway SalonSpa share a common goal... to exceed clients’ expectations. There are different price levels from the new talent stylists to senior stylists, so there are pricing levels to fit all client’s needs. With one visit, you will find that clients are the number one priority at Styles on Broadway. The greatest compliment they can receive is a friends and family referral. Get the full treatment at Styles on Broadway SalonSpa on Broadway Street in historic downtown Martin.